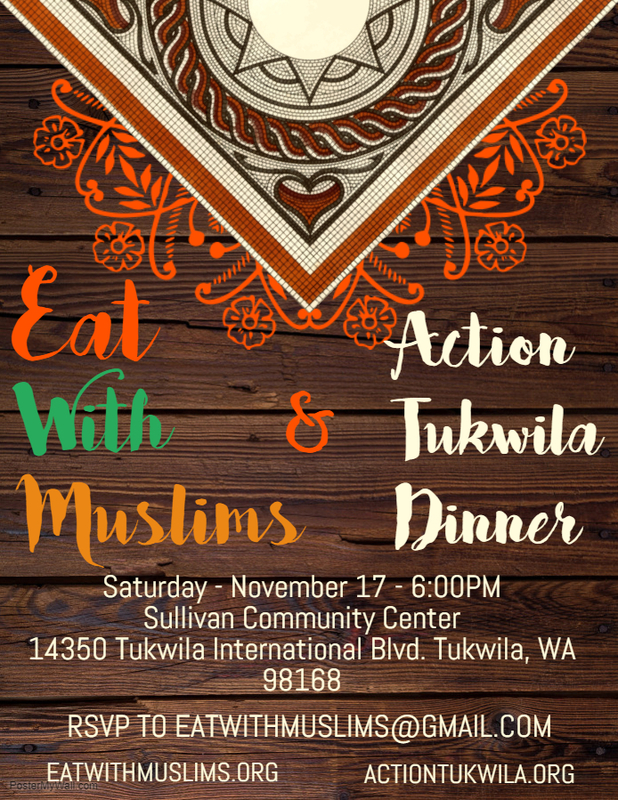 Eat with Muslims (https://www.eatwithmuslims.org) is coming to Tukwila! Join us Nov. 17 for the next installment of this exciting and vitally important project. Space is limited. To save yourself a seat at the table, email eatwithmuslims@gmail.com. What is community for people living without a home? What is "home" without housing? Join us as we honor the stories of community members who are experiencing, or have experienced, homelessness. Cassandra Hunter will emcee. Featured storytellers will include Paloma Andazola-Reza, Michelle Orduña, and Paula Passmore. An open mic will follow. Presented by Action Tukwila and The Tukwila Library. "I love anything spicy; food, people, stories. Like most New Mexican’s will tell you, we are proud of our cultures, our land, our communities, our families and our ancestors. I am a Norteña, Chicana, Mestiza, Taoseña, Burqueña. You don’t have to know what this means as much as know that this matters, always. I am torn between my love of the desert and awe of the Pacific Ocean. I am a social worker in Seattle who believes in justice, liberation, beauty, art, and the power of connection. I am working on my clinical license with a focus on community centered practices of healing from trauma, culturally responsive and integrative healing, and healing through expressive arts." Our monthly Action Tukwila meeting is next week. We’re trying out a new meeting time so will begin at 7 pm. We’re hoping that may make it easier for some people to attend. We’ll discuss some upcoming events and the opportunity they offer to meet some new people. Please print out the agenda below and bring it with you to the meeting.